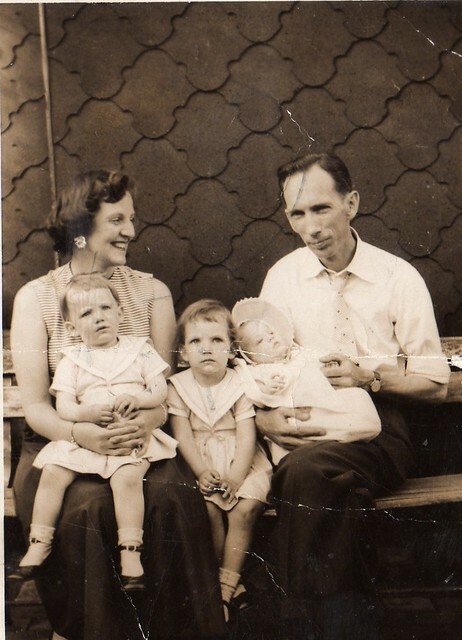 My paternal grandmother passed away almost a year ago and unfortunately she never had photos of her youth because she grew up in a small village in Italy and migrated to Australia with no money. They couldn't afford cameras. 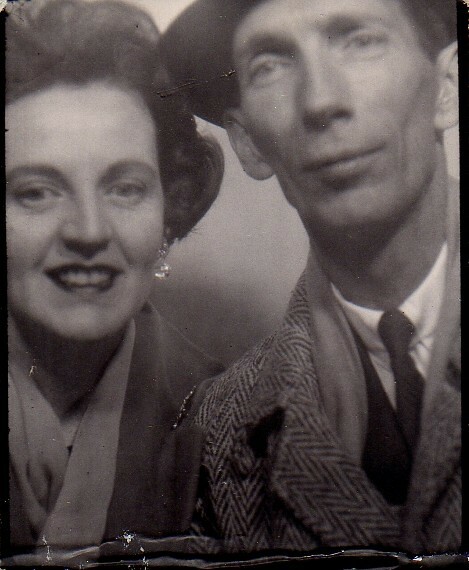 i don't have any photos of my grandparents other than the ones of their weddings. i live on a small island in the mediterranean and cameras only came into popular use after they had passed (three of them were still young). love your grandma's photos. you look a lot like her. Oh my gosh, these are fabulous! Especially the first one. You are so so lucky to have them-- I don't have anything like that from my grandmothers (I only have one photo of my paternal grandma since she died way before I was born). But it's okay, I always love when other people have gorgeous family photos like this. And your grandpa looks eerily similar to my maternal grandpa! Wow. That actually gave me a shock for a second, haha. she looks great!!! 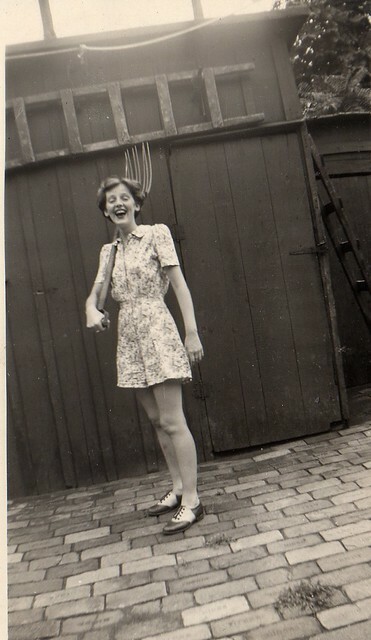 a couple of years ago I saw pictures of my grand and I was O_O she was very modern!!! wearing nice clothes and with a marilyn hair!!!! I know that for americans it could be normal but at that time in Spain we have a dictatorship and it was not well accepted this behaviour..she was a pioneer :D I am proud of her and also now with 70 she looks amazing!!! ive linked ur blog. wanna link mine? 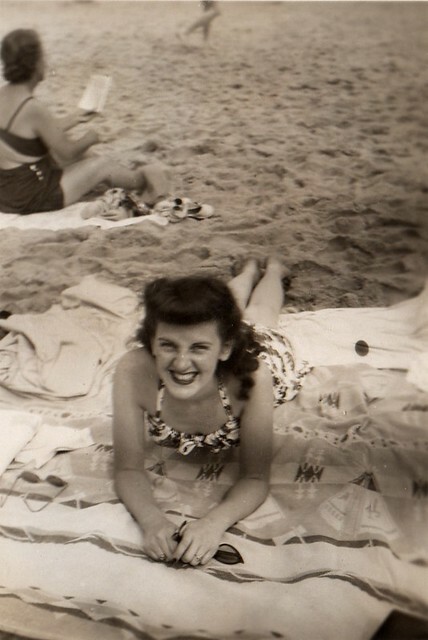 My Nanny died when I was 14 and it's still very hard for me. I've posted photos of her on my blog and like you just don't know what to say. Just the photos are enough though. You're Grandma was a doll! Aw. My grandmother died in December of last year, so her death anniversary is coming up. I send hugs to you. I don't know how I'm going to feel about it, but I want to do something to celebrate her. She raised me, and I feel lost without her. I love all those photos and you are fortunate to have so many. I wish I had more of those kind of my grandma. Those photos are lovely. She had such great style. Your grandmother's smile is transcendent. I'm sorry to hear your grandmother passed away last year, mine did as well. However celebrating her life in photos is a wonderful way. I especially love the photo with the fork! Thank you for sharing these beautiful pictures of your elegant grandmother. 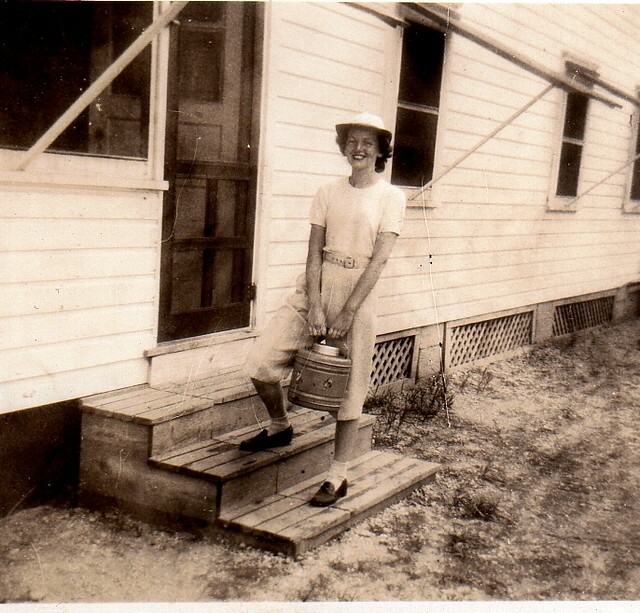 I really like to see pictures pf my grandmother, too. lovely!!! Yesterday my grandma showed me some pictures of her wedding and OMG I fell in love with the clothes! Your grandma reminds me of Peggy Olson from Mad Men! i feel so moved just looking at these pictures. they do have a voice. thanks for sharing. she looks a bit like peggy olsen! Your grandmother was beautiful. I know how you feel. My grandma was the most important woman in my life. Hugs to you! You can certainly see the strong family resemblance, and she had immaculate style. 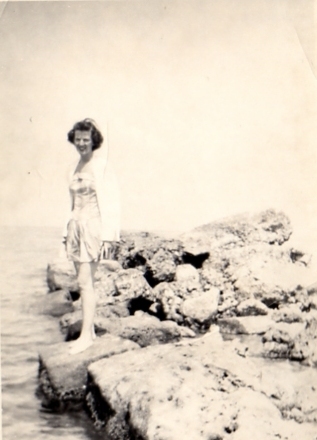 My own grandmother passed away earlier this year, and it is very hard. I'm so sorry for your loss, dear Kater. She was beautiful, and in fact I see a resemblance! So sweet of you to share this with everyone. Oh this is so sweet. I lost my Grandma last year, too.